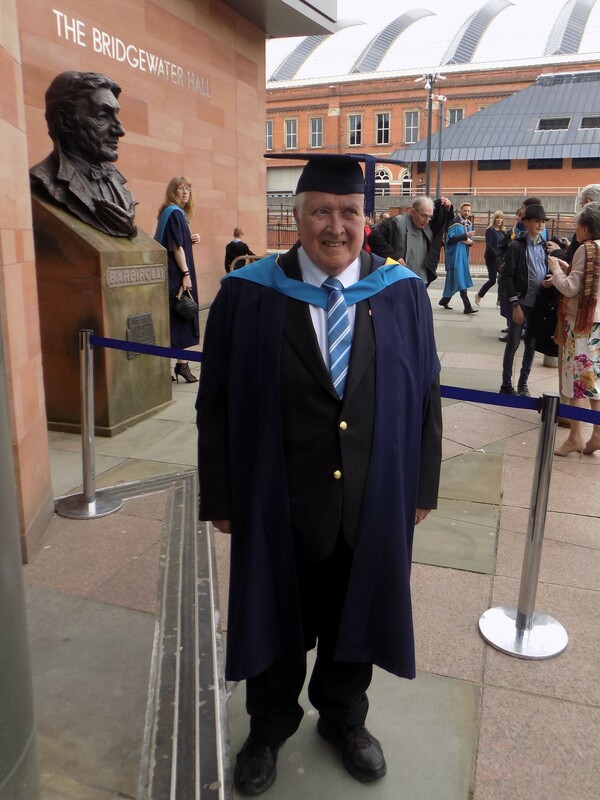 To read part 1 of John’s student story click here. 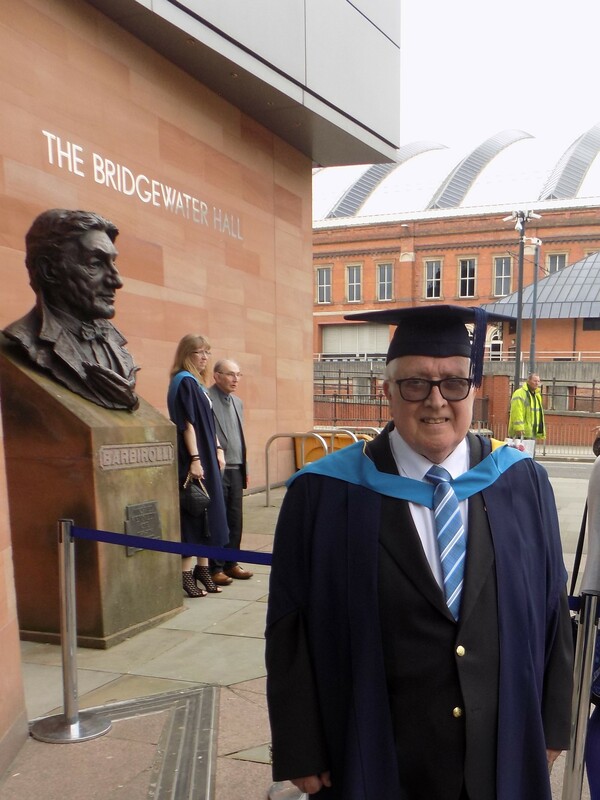 To read all of our student stories click here. This entry was posted in Uncategorized on May 21, 2018 by Caroline Heaney. PyeongChang 2018 Part 2: Speed, skill and risk….. The fearless are back! Just as the dust has started to settle on the most successful Winter Olympics to date for Great Britain a new team of superstars have landed in PyeongChang. Today sees the start of the Paralympics which run from 9 to 18 March 2018. With 80 medals up for grabs in six Paralympic sports the next 10 days promise to excite, amaze, and inspire the next generation of Para-athletes. A reminder: where is Pyeongchang? Pyeongchang is located in the Taebaek Mountains of South Korea, approximately 180km east of the capital city Seoul. Pyeongchang will be the third Asian city to host the Winter Games; the first two were in Japan, at Sapporo (1972) and Nagano (1998). 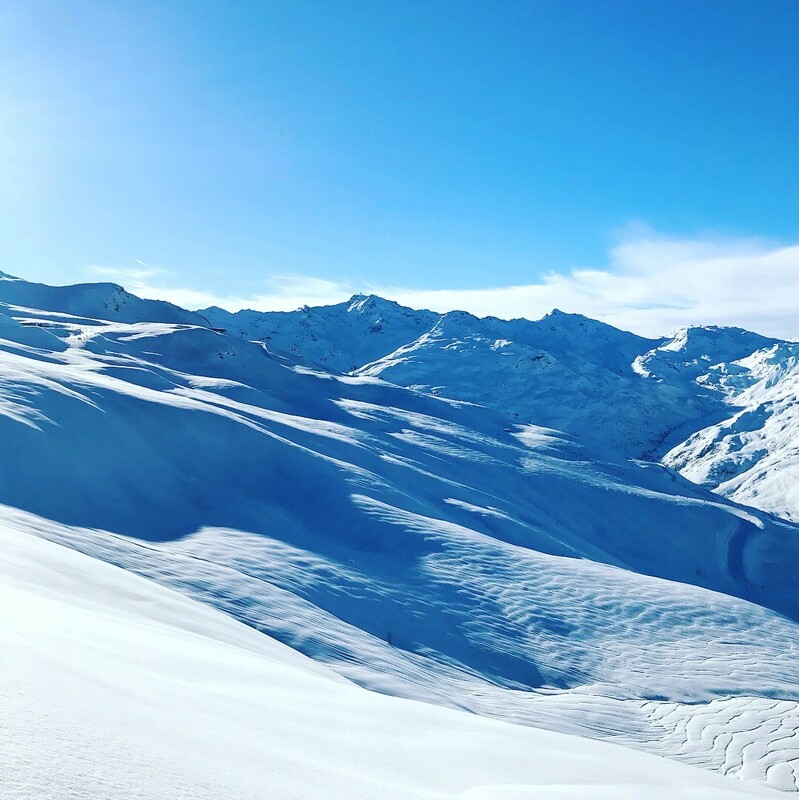 Events are taking place at two main locations Alpensia Resort and Gangneug Olympic park with several other standalone venues for the snow based sports. This is the first time that snowboarding has been added as a separate discipline and will include banked slalom and board cross. Can Team GB win any medals? In short yes, Team GB are sending their biggest team since 2006 comprising of 17 athletes across 5 of the 8 disciplines (Alpine skiing, biathlon, cross-country skiing, snowboarding and wheelchair curling). The biggest medal prospect has to be Millie Knight, having lost her sight at aged six she became the youngest person ever to compete for Team GB at the Winter Paralympic games in Sochi at only 15 years old. Roll forward 4 years and she is coming into the Pyeongchang games having won a gold and two silver’s at the 2017 World Para Alpine Skiing Championships in Italy. Let’s see if she and her guide Brett Wild can improve on her 5th place she got at Sochi. With snowboarding featuring for the first time as its own discipline the trio of GB Paralympic snowboarders are a group to watch. Flag bearer Owen Pick lost his leg following an explosion in Afghanistan in 2010 and saw snowboarding on the television during his rehab. In the 2017 World Championships Pick won silver in the banked slalom and he is hoping for a double at this year’s games where he will also compete in the snowboard cross event. 2 years ago Scott Meenagh hadn’t put on a pair of cross country skis but he surprised the winter sport’s world and has qualified in six events over two disciplines of cross-country and biathlon. The Canadian cross-country specialist Brian McKeever has 10 Winter Paralympic gold medals to his name already and while he may not be able to surpass the success of Germany’s Gert Schonfelder’s who currently has 16 medals he could get a step closer in Pyeongchang. 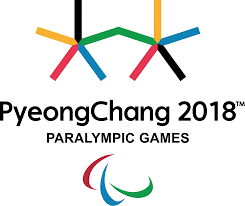 Home advantage may not be something regularly associated with winter sports but Korea are hoping it helps them in their quest for their first ever winter Paralympic gold. A medal is a possibility potentially from alpine skier Jae Rim Yang. So for now sit back and watch round 2 of the entertainment on the snow and ice. This entry was posted in Uncategorized on March 9, 2018 by Candice Lingam-Willgoss. Olympic Mums: Juggling motherhood with elite sport. One of the most significant life transitions that females can face are those related to pregnancy and motherhood. This transition can be all the more meaningful for active females due to both the physical implications and challenges related to gender ideology which can lead to conflict positing that women’s true role is to have and care for children (Weedon, 1997). Traditionally women at elite levels have been expected to retire once they have children and this is factored into their retirement planning both because of expectations that they’ll be taking on childcare and because of the physiological impact of childbirth. However, it is becoming more and more common for elite athletes to decide to pursue their athletic career alongside motherhood and strive for both career and maternal success. One such athlete is Snowboard Cross athlete Zoe Gillings-Briar who is competing in her 4th Olympics in PyeongChang; but her first as a mother. 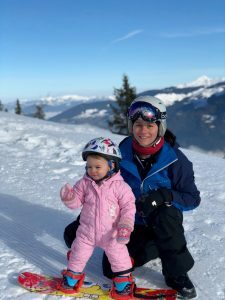 She became mother to Léa in August 2016 and has openly discussed how she has taken inspiration from Jess Ennis-Hill “To see how Jess came back after pregnancy was awesome and hugely inspiring” (Gillings-Brier, 2016 cited in BBC Sport, 2016). Ennis-Hill is not the only elite athlete to return to winning form following the birth of her son Reggie. McGannon et al (2012) explored the experiences of Paula Radcliffe following her return to competition after the birth of her first child, she came back and won the 2007 New York marathon 10 months after giving birth to her daughter. Likewise, five time Olympian Jo Pavey also re-wrote the history books at the 2014 European Championships winning the 10,000m gold to become the oldest female European champion in history, and like Radcliffe she did this 10 months after giving birth to her second child. More recently, Serena Williams has begun her comeback following the birth of her first child in September 2017, and while she has suffered some setbacks she is adamant that she aims to regain the top spot in the woman’s game (BBC sport, 2018). 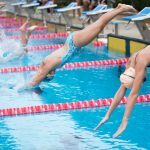 Does type of sport make a difference? With optimal fertility often falling at the same time as peak performance the decision to have a baby is often a meticulously planned for event in the case of an elite athletes (Cunnama, 2017). While research looking at the area of physical activity during pregnancy suggests that being physically active is beneficial to both mother and foetus not all forms of physical activity or sport will be appropriate (Barakat et al., 2015). 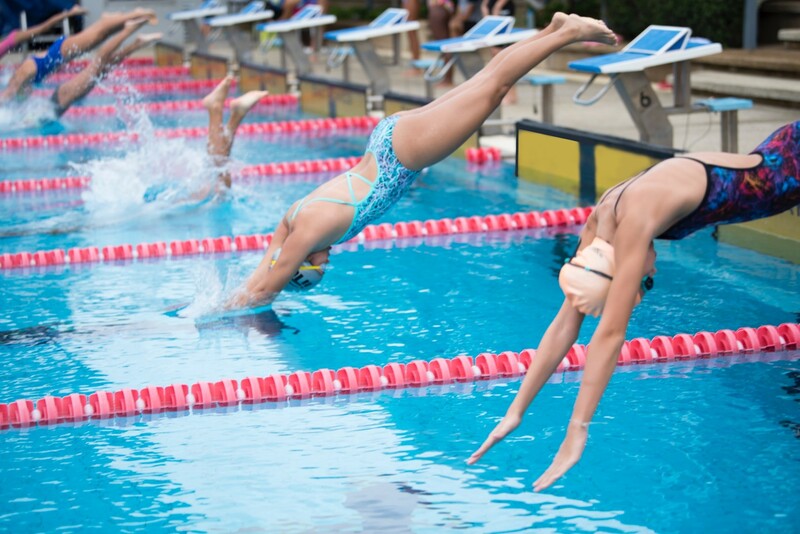 It is recommended that higher risk sports such as those with risk of trauma (e.g. hockey), physiological risk (e.g. scuba diving) and collision (e.g. downhill skiing) should be avoided (Barakat et al., 2015). In contrast research exploring low risk sports has indicated that it is possible for competitive athletes to maintain strenuous regimes during their pregnancy and train at high volume (Kardel, 2005). This can result in a return to high intensity training postpartum and a more rapid return to competition (Erdener and Budgett, 2016). There are also a number of examples of athletes who have competed while pregnant such as Beach Volleyball player Walsh Jenning who competed at 5 weeks pregnant and rifle shooter Mohammed Taibi who competed at 8 months pregnant. These two examples from the London 2012 Olympic games illustrate that type of sport has a clear bearing on what an elite athlete is still able to do during pregnancy. 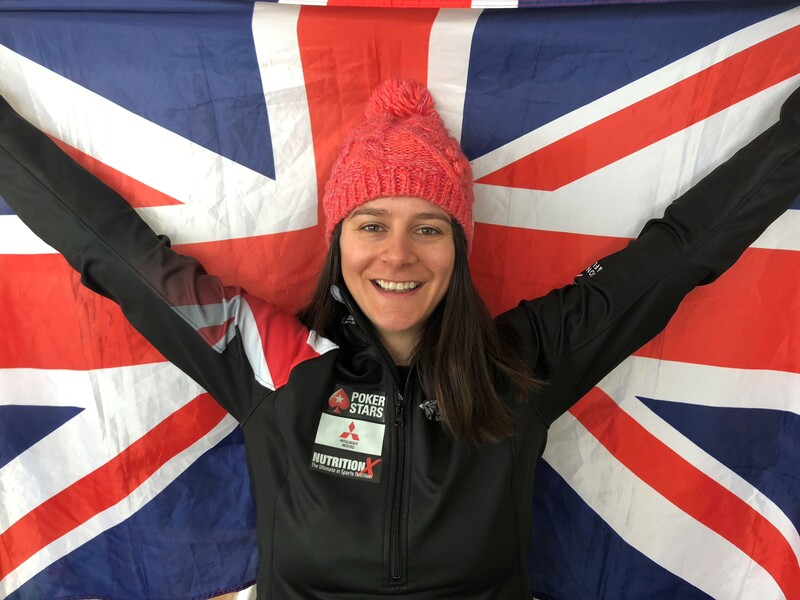 Putting these potential challenges aside Gillings-Brier has made it back and aims to make this her best games yet after placing inside the top 10 in snowboard cross for the past two Games. But what makes an athlete who has already competed at 3 Olympics decide to go for a fourth? This may be related to something Paula Radcliffe (2014) has discussed ‘As an athlete, when you become pregnant, your sport does not just go out of the window because it is a big part of who you are’. This relates closely to the concept of athletic identity, ’the degree to which an individual identifies with the athlete role’ (Brewer et al, 1993, p. 237). They suggest that having a high athletic identity might limit an individual from possessing a multi-dimensional self-concept and they will see themselves almost exclusively as an athlete and in that role. This high level of athletic identity can result in more adjustment difficulties when faced with career transitions (for example, motherhood) (Martin et al, 2014). Therefore the challenge can be both the need to manage multiple identities and balance the selflessness of being a mother with the selfishness required to train and compete at elite level. However, research suggests that becoming a mother potentially gives the athlete a different perspective on their sport and that motherhood makes them a better athlete as they feel complete in all areas of their life (McGannon et al, 2012). This is echoed by Gillings-Brier who has said that she has a new motivation and confidence in her performance since becoming a mother as she knows the better she does at the games the better future she can give her daughter (BBC News, 2018). Three times world cup winner US Cross-country skier Kikkan Randall is competing in her fifth Olympics. She gave birth to her son in 2016 and has been instrumental in improving the provision for mothers at elite sporting events. French freestyle half pipe skier Marie Martinod returned to the sport in 2011 having had a family, a silver a Sochi and a win at the 2017 X Games sees her as one of the favourites for gold in her event. Finally Marit Bjoergen the Norwegian cross-country skiing sensation who became a mother in 2015 is the joint holder of the record for most medals won by a female Winter Olympian (10) a record she is aiming to surpass at Pyeongchang. So while there is bound to be some trepidation at leaving their children for the three weeks of the Games let’s hope Gillings-Brier and all the Olympic mums can make their children and their country proud. Barakat, R., Perales, M., Garatachea, N., Ruiz, J.R. and Lucia, A., 2015. Exercise during pregnancy. A narrative review asking: what do we know? British journal of sports medicine, 49(21), pp.1377-1381. Kardel, K.R., 2005. Effects of intense training during and after pregnancy in top‐level athletes. Scandinavian journal of medicine & science in sports, 15(2), pp.79-86. Martin, L., Fogarty, G., and Albion, M. (2014) ‘Changes in athletic identity and life satisfaction of elite athletes as a function of retirement status’, Journal of Applied Sport Psychology, 26, 96-110. McGannon, K., R., Curtin, K., Schinke, R., J., & Schweinbenz, A. (2012) ‘(De) Constructing Paula Radcliffe: Exploring media representation of elite running, pregnancy and motherhood through cultural sport psychology’ Psychology of Sport and Exercise, vol. 13, pp. 820-829. McGannon, K.R. and Schinke, R.J., 2013. “My first choice is to work out at work; then I don’t feel bad about my kids”: A discursive psychological analysis of motherhood and physical activity participation. Psychology of sport and exercise, 14(2), pp.179-188. Weedon, C., 1997. Feminist practice & poststructuralist theory. This entry was posted in Uncategorized on February 12, 2018 by Candice Lingam-Willgoss. PyeongChang 2018: Speed, skill and risk….. The fearless are here! I love sport – playing it, watching it, writing about it. It is a massive part of my life and I feel lucky I get to work in a profession where I can immerse myself in it on a daily basis with likeminded people. So when a major sporting event is around the corner I prepare to be glued to the TV. For me the Winter Olympics has always carried that aura of uncertainty and excitement – watching the world’s best skiers, snowboarders, ice skaters and more battle it out, braving the elements and taking risks albeit calculated ones. Plus, there are also four new disciplines being introduced to the games this year, big air within snowboarding, mixed team alpine skiing, mixed doubles curling, and mass start speed skating, meaning the 23rd Winter Olympics promises to be something special. With a record 102 medals on offer over 15 different disciplines there is a real buzz that Team GB can make this their most successful games yet improving on the 4 medals picked up in Sochi. Pyeongchang is located in the Taebaek Mountains of South Korea, approximately 180km east of the capital city Seoul. Pyeongchang will be the third Asian city to host the Winter Games; the first two were in Japan, at Sapporo (1972) and Nagano (1998). 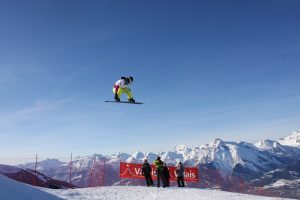 Events are taking place at two main locations Alpensia Resort and Gangneug Olympic park with several other standalone venues for the snow based sports. But who could make it to the podium? With their biggest squad to date of 59 athletes including defending Olympic Skeleton champion Lizzy Yarnold, the prospect for Team GB is an exciting one. The success at Sochi (2014) saw UK Sport double its investment in Olympic winter sports from £13.5m to £27.9m for the South Korea event (BBC Sport, 2018). So will this funding increase have an impact? No Briton has ever defended a Winter Olympic title but Yarnold is keen to achieve the double in an event which has seen significant dominance by British women since its inclusion at the games in 2002 (British women have medalled at all four games). The biggest threat could well come from her team-mate Laura Deas who has produced the best results so far this season and is possibly a more realistic medal contender. 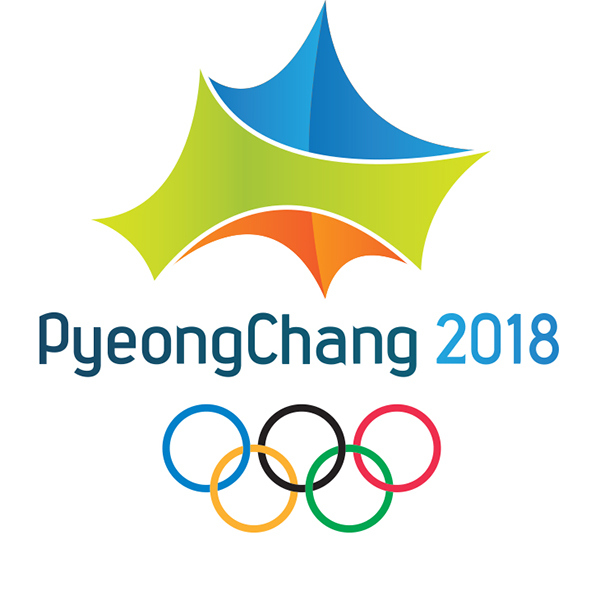 Where Yarnold is driven to defend her title to gain the double, former OU student Elise Christie is going for a record breaking double of her own, the Short track speed skater is attempting this in the 500m, and her preferred 1000m event, as long as the South Korean’s don’t ruin the party! Medals on snow have been somewhat lacking with Britain’s first coming at Sochi when Jenny Jones made history achieving GB’s first ever snow medal in snowboard slopestyle – however, a medal on skis remains elusive – the best chance of success here comes in the form of Freestyle skiers James Woods and Isabel Atkin who have a real chance of cementing their names in history. But we mustn’t discount Slalom skier Dave Ryding; this will be his third Olympics and he is in competitive form with consistent top 10 finishes on the World Cup circuit this season following his World Cup medal in January 2017, will it be a case of third time lucky? When it comes to team events in recent years Britain have had considerable success in Curling picking up medals in the men’s and women’s team events in Sochi and sitting 3rd on the all-time medals table. While not favourites by any stretch, the team has a positive blend of experience and newer talent which could result in a surprise medal. Alpine skiing – 4 times Olympian Lindsey Vonn (USA) missed the 2014 games due to injury but she is back and in great shape going into the games. Her team mate Mikaela Shiffrin, the youngest ever to win an Olympic gold medal in slalom is also in great form with some strong world cup performances at the end of 2017. Snowboarding – Chloe Kim is another US athlete to watch – the first woman to land back to back 1080s in competition last year and sitting top of the world rankings, this is her first Olympics but she could produce something special if she can control her emotions on the day. Bobsleigh – The Nigerian women’s bobsleigh team is made up of Seun Adigun, Ngozi Onwumere and Akuoma Omeoga, these three athletes decided to form the world’s first all-African bobsleigh team in 2015 and in doing so have already made history. Biathlon – Germany’s Laura Dahlmeier ranked No. 1 in the world in 2017 looks set to shoot and ski her way to the top of the podium. 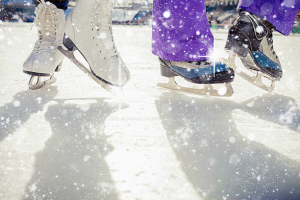 Ice Skating – King of the quads American Nathan Chen should be in Gold medal contention as the first person to complete five quads in a four and a half minute routine, wherever he finishes he is sure to have everyone’s eyes spinning with him! The Games open on Friday 9th February so get ready to settle back and watch the excitement unfold in the 23rd Winter Olympics. This entry was posted in Uncategorized on February 5, 2018 by Candice Lingam-Willgoss. OU Sport and Fitness Students: We Need Your Help! On Tuesday 26th September 2017 (1-3pm), as part of our induction programme, we will be hosting a Student Hub Live session for OU Sport and Fitness students. For part of the session we are looking for a level 3 sport and fitness student to share their experience of studying sport and fitness at the OU so far. The session would involve you being interviewed, alongside a sport and fitness lecturer, about how you have found each of the modules you have studied so far and any tips or advice you have for other students. 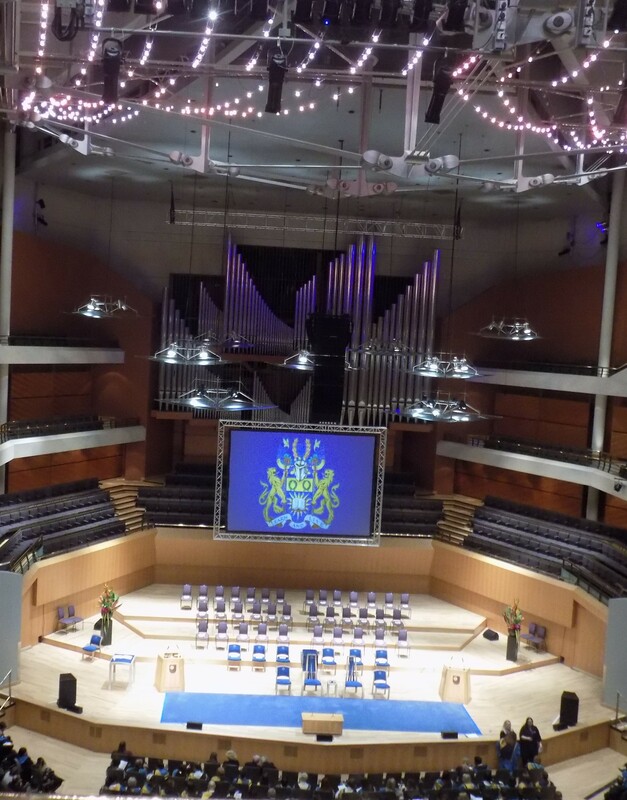 The session will last for 30 minutes and will be live streamed through our Student Hub Live platform. If you are interested in appearing in the Sport and Fitness Student Hub Live session on 26th September 2017 please email WELS-Sports@open.ac.uk stating what module(s) you are currently registered on, what modules you have already studied and why you would like to be involved. The successful student will be required to be in Milton Keynes on the afternoon of Tuesday 26th September and will be reimbursed with their travel expenses and a £30 Amazon voucher. Priority will be given to level 3 students, however, consideration will be given to level 2 students who have completed at least 60 credits. Priority will also be given to those studying sport and fitness qualifications. This entry was posted in Uncategorized on September 11, 2017 by Caroline Heaney. This page provides useful advice and guidance to E117 Introduction to Sport and Fitness students on how to use their Medisana activity tracker. The video below provides a step by step guide to setting up and activating your tracker to view both your own data and also the data of other students studying E117. If you haven’t already done so it is important to install the E117 App on your device before you begin setting up your tracker. For details on how to download and install the E117 app click here. Once you have installed the E117 App you are ready to follow the instructions in the video below. During the process below (in Step 5) you may be required to log in to the OU systems using your OU Computer Username (OUCU) and password. Enter your OU computer username (OUCU) and your password when prompted. Your OUCU is made up of initials (usually yours) followed by a number, for example ‘ab123’. It is included in the letter confirming your module registration. It is interchangeable with your personal identifier (PI) anywhere you see the OU sign-in screen. Your OUCU is a security tag and cannot be changed as it is then encrypted into many of the OU systems. Please note that once you have completed the set up and authorized the E117 App to access your data you do not have to enter the E117 App every time you wish to view your data. The link below takes you directly to the activity Dashboard. You will be directed when to use the activity tracker data to help you in your studies within the module materials. We suggest that you wear your tracker throughout the module to allow you to have sufficient data available when completing these activities. If you encounter any difficulties syncing your tracker to the E117 App or you think you may not have set up the permissions correctly there is a ‘Reset your Profile’ button in the ‘Edit Profile’ section. If you activate the reset you will receive an alert that your personal information as well as your connection to Medisana will be deleted. This will take you back to the ‘Connect to Medisana’ button which should then allow you to give permission to the E117 App again. This entry was posted in E117, Uncategorized and tagged e117 on August 25, 2017 by Jessica Pinchbeck. 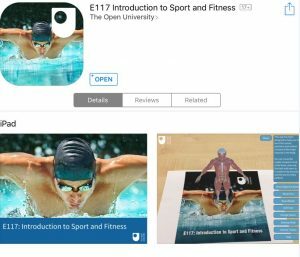 This page provides guidance to E117 Introduction to Sport and Fitness students on how to download and install the E117 App. 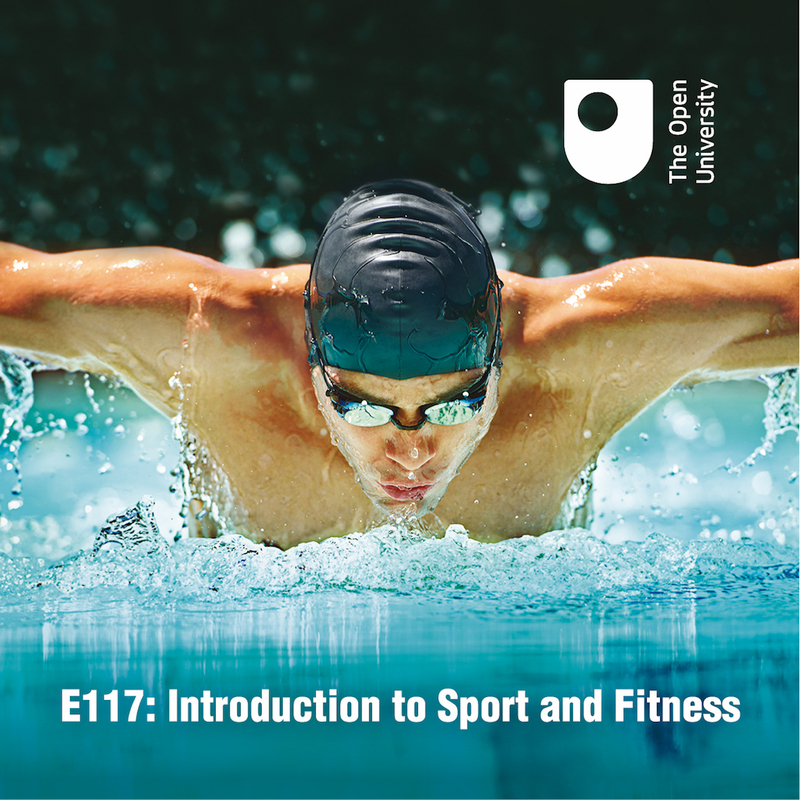 The E117 App is designed to support and enhance the learning of Level 1 Sport and Fitness students studying the Open University module E117 Introduction to Sport and Fitness. The App comprises two augmented reality models and shared physical activity tracker data from E117 students. Click on the links below to download the E117 App onto your Apple or Android device. Once you have downloaded and installed the E117 App you will need to use the trigger image below. Please note that the E117 Introduction to Sport and Fitness App requires access to your device’s camera in order to provide the Augmented Reality (AR) experience. The application does not record any audio, image or video in the process of providing the AR experience. Below is a the trigger image needed for the augmented reality part of the App. If you are an E117 student you will have been provided with a copy of this image on a coaster. If you are not an E117 student, or if you have lost your coaster, you can download a jpeg copy of the image by right clicking on the image below and selecting ‘save picture/image as’ (or similar). Alternatively you can download a PDF version of the trigger image by clicking here. Once you have successfully downloaded and installed the App on to your device point the device at the trigger image and you will see the augmented reality model of the muscular system as well as the ‘Menu’ option in the top right corner. Click on ‘menu’ to reveal the full list of functions available in the App. For further information on each function located within the App please click on the link below. To see a demonstration of how to use and navigate the App once you have it downloaded onto your device please watch the video below. The Activity Tracker section of the App allows you to activate your Medisana activity tracker to view your data alongside other E117 students. Full details of how to do this can be found here. What if I don’t have an Apple or Android device? 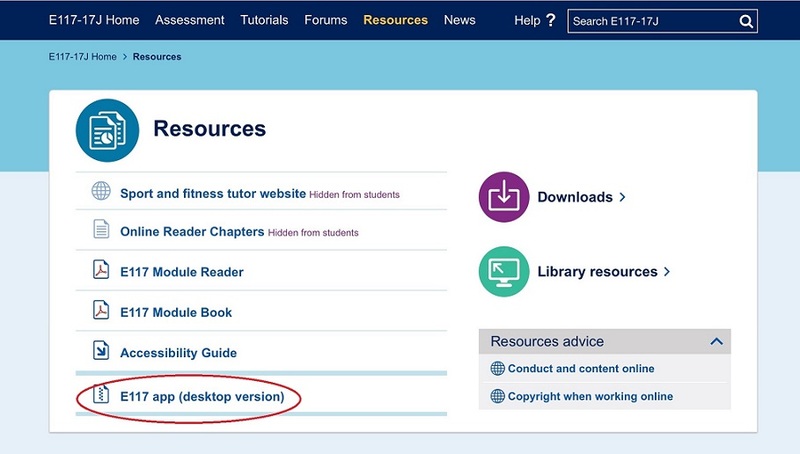 For those on the module who do not have an Android or Apple device there is a desktop version of the App available from the ‘Resources’ section of the E117 Module Website. The menu on the desktop version can be navigated in exactly the same way to show the activity tracker dashboard and both the muscular and digestive systems, however the models will only be presented in 2D rather than in augmented reality 3D. This entry was posted in E117, Uncategorized on May 19, 2017 by Caroline Heaney. We’ve been looking for a way for OU Sport and Fitness students to develop their experience and CVs to help their career development and have partnered up with the Great Run Company to provide some unique TV Production/Course Operations opportunities in their mass participation event portfolio in Manchester, the Lake District, London or Bristol. To see how these volunteering opportunities may be useful to you take a look at the short video below. The Further Information Sheet tells you more about the events, volunteering roles and answers frequently asked questions. If you would like to apply please complete the Expression of Interest form below and send it to the email address on the form. 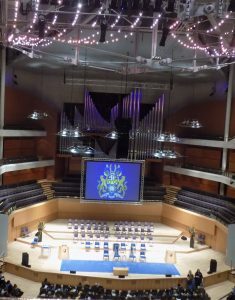 But hurry, the events in the north of England need applications in by April 4th or 11th (the other dates are later). This entry was posted in Uncategorized on March 20, 2017 by Caroline Heaney. 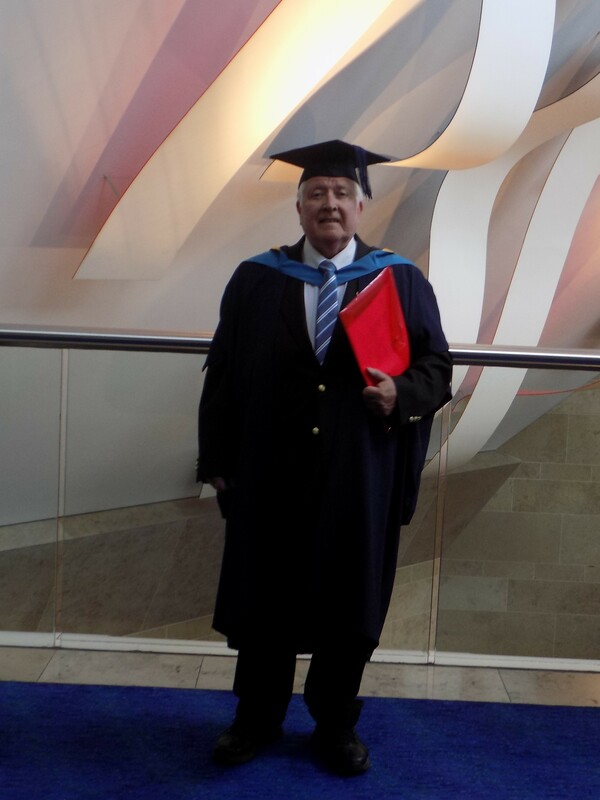 • Have you studied any modules in Sport and Fitness at The Open University? • Would you like to share your experience and inspire others? We would like to update our bank of ‘student stories’, which are profiles of OU Sport and Fitness students, and are looking for volunteers from our current students and alumni. To be eligible to participate you need to have studied at least one Sport and Fitness module at The Open University. We are looking for both past and present students from a wide range of backgrounds with a range of career goals. Every OU student’s story has the potential to inspire others, so don’t think that your story isn’t interesting enough! You can see some examples of previous student stories here. This entry was posted in Uncategorized on October 25, 2016 by Caroline Heaney.